Una piedra construido convertida cochera y el granero servir al antiguo molino que operaba en este sitio hasta la década de 1950. Los actuales propietarios lo han convertido en un bonito apartamento de diseño abierto con un cuarto de baño (con ducha). Hay una cocina / comedor bien equipada y una zona de dormitorio (que puede ser cerrada con cortinas) con dos camas individuales y un sofá-cama doble. Situado en un tranquilo jardín de 2. 5 acres con una corriente de la charla, el oscilación del árbol, cama elástica, un césped bien cuidado y muebles de jardín. La propiedad se encuentra en un cruce de senderos bien utilizados y está a sólo unos minutos a pie a través de los campos de la encantadora isla de Wight Donkey Sanctuary. El fácil acceso a hermosas playas como Steephill Cove, Shanklin y Ventnor. A una milla de la pintoresca villa turística de Godshill con sus numerosos bares, restaurantes y cafeterías. Beautiful cosy setting with lovely garden with stream and plenty of outside seating areas. Will visit there again and recommend to others as a lovely place to stay. 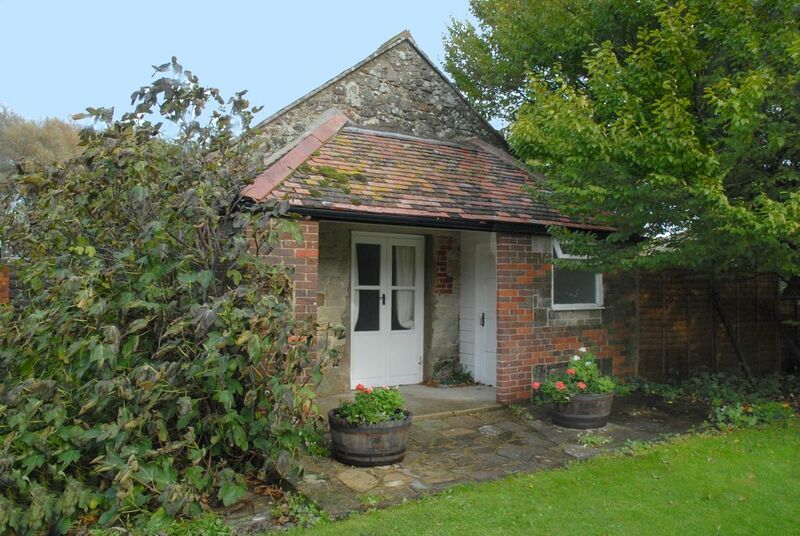 We had lovely time in this charming cottage over the weekend so thank you very much. The cottage was well equipped and information email very specific and included everything we needed to know including the best places to visit in area. Also no hiding surprises such as no WiFi or no towels or no bed sheets included which we didn’t mind as we brought everything with us. The garden was jewel of the property with patio, trampoline, swing, Little stream, cute rabbit in the cage and free herbs or some fruit, veg available to pick from their garden for Little charge which was amazing. Also owners were very friendly and helpful. Only think we underestimated was that cottage has only one big room with everything in it apart of separate bathroom. The bedroom is separated from kitchen only with curtain so we had to be extra quiet in evenings not to wake our kids up. Great for couples but wouldn’t recommended to the families. Although we were very happy there as we wasn’t expecting more comfort for the money they asked. Great value for the cottage in great location but only if you have a car. The Granary was very sweet....but there was no welcome pack. There was no milk and the basics that were in the kitchen were in greasy jars. Stuff that had been left by previous guests were stuck to each other and stuck to the shelves. There were no towels, so as soon as we arrived we had to go to the supermarket to purchase some. Once we had bought the essentials, we had a lovely time there. The garden was lovely, as was the owner. Thank you for this feedback. We apologise for the lack of towels for these guests. We have not hitherto supplied them for guests as most of our lets are for two to three nights and to do so would make the washing between lets unmanageable. As this season draws to a close we plan to make a number of improvements to the Granary for next year. This will include supplying towels for guests staying for a week, and providing fresh milk for the first night. The shelves and food cupboard have now been cleared out and checked for freshness and we will continue to make regular checks. We hope the few small problems did not take away from the enjoyment of the holiday for these guests in our peaceful rural getaway. We loved the warm welcome by host Rebecca, the huge trampoline and the cute little house. It was clean and we had everything we breder, including a well equiped kitchen. The French Mill is situated pretty central on the island. Unfortunately we didn’t sleep too well due to the hard bed-couch and the loud refrigurator. But we thoroughly enjoyed our stay at the Isle. We are glad these guests enjoyed their stay. We always try to make people feel welcome and to help them find nice places to go, depending on their needs and preferences. We are sorry that these guests found the sofabed hard to sleep on. The cottage is too small to fit another proper bed, so we have bought a good quality convertable sofa. The Granary is aimed at the budget end of the market and we don't pretend that it is luxury accommodation. It is clean and well equipped and situated in a huge, peaceful garden that is appreciated by guests. We apologise fo the noisy fridge. This is something we will try to improve for the 2019 season. Was a lovely little house, with a perfect garden. Very comfortable, with all that one would need. Would defiantly come again. Plenty to do in iow. The mill is in a great location to explore the island . the owners rebecca and guy are very helpful too .